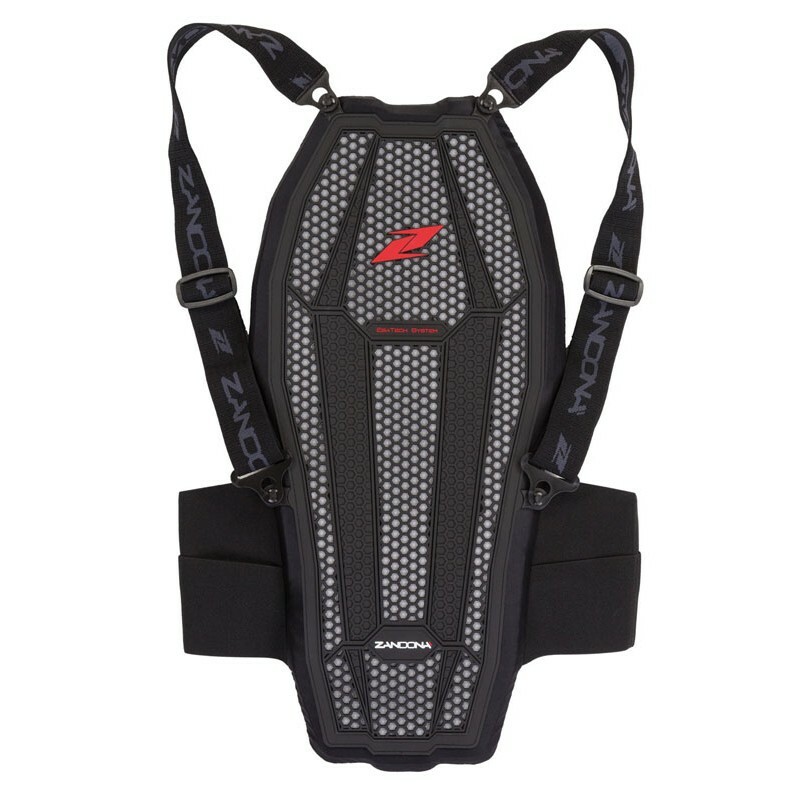 “Esatech Back Pro Kid Equitation” is a 100% made in Italy back protector made by precious materials and by special textiles like S.R.T. 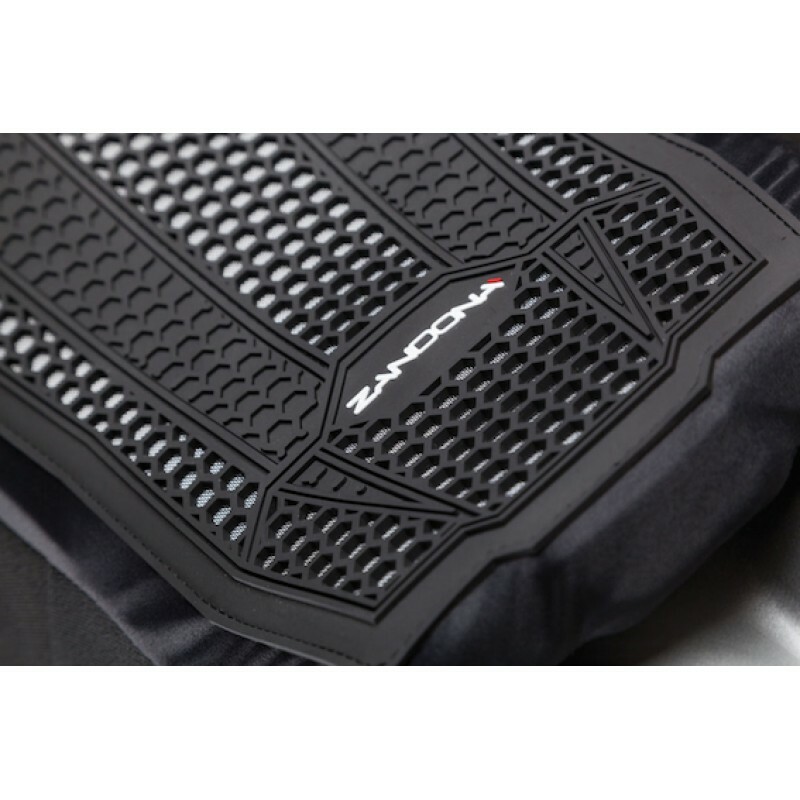 (Sweat Removing Textile – very transpiring 3D textile which transfers sweat to the outside), studied to protect the back zone from collisions while offering a good lumbar support. 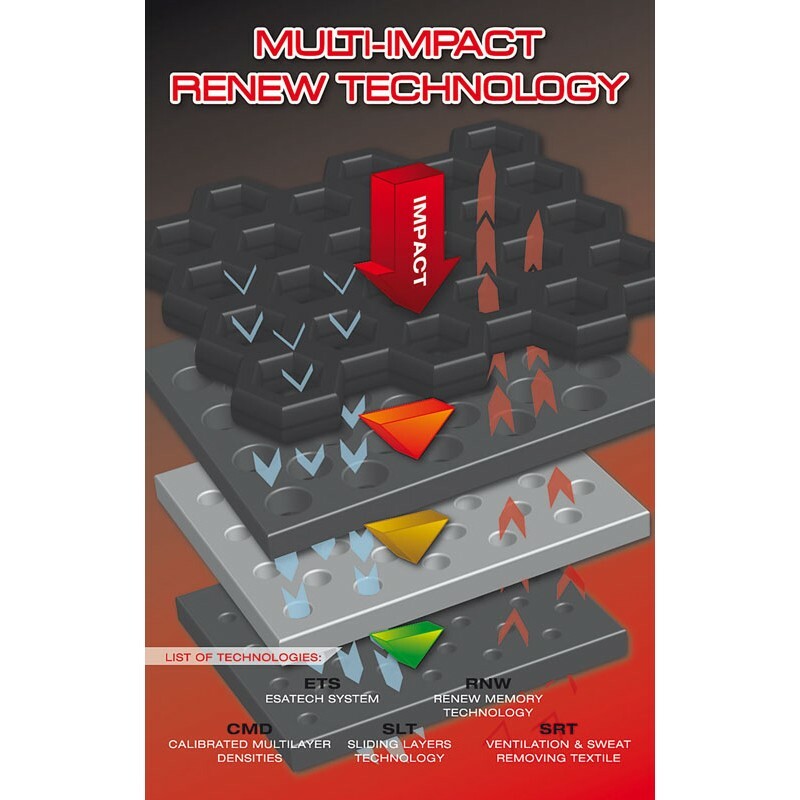 The external plate is an hexagonal nitrile anti-shock structure (Esatech System), particularly formulated to absorb high impact energies and designed to dissipate the output energy over the whole protector surface. 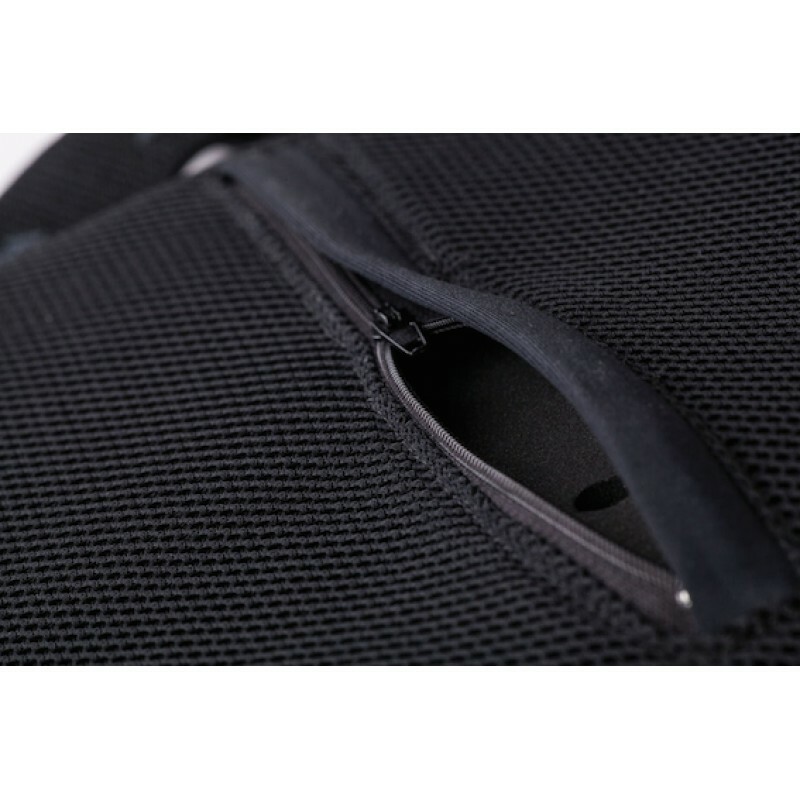 The internal padding is composed by E.V.C. 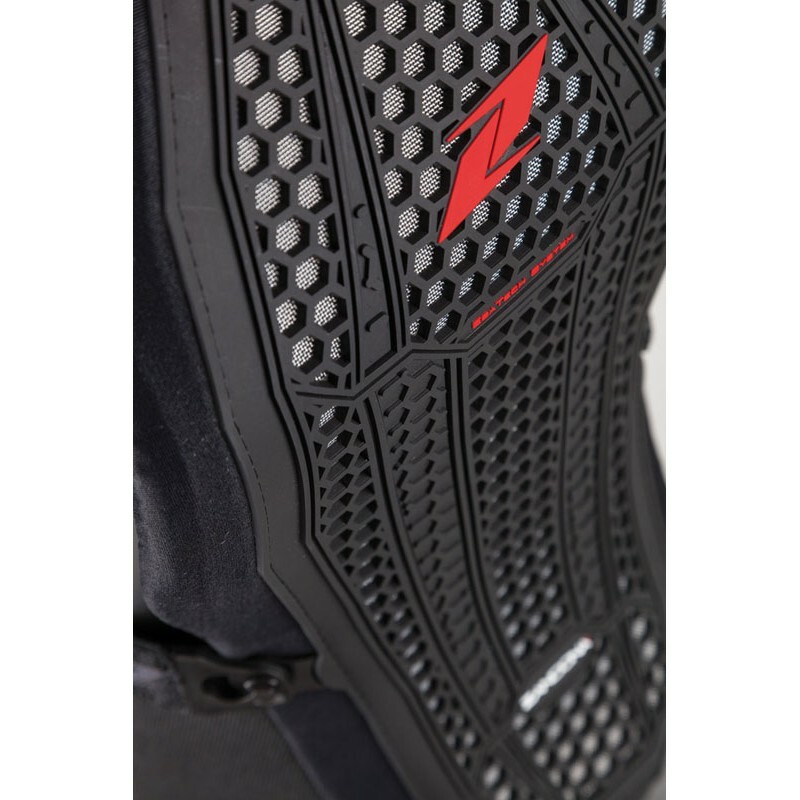 (Evoluted Viscoelastic Cells), innovative waterproof anti-shock material with high performance/weight/thickness rate, completely perforated to increase perspiration from the contact area to the outside. 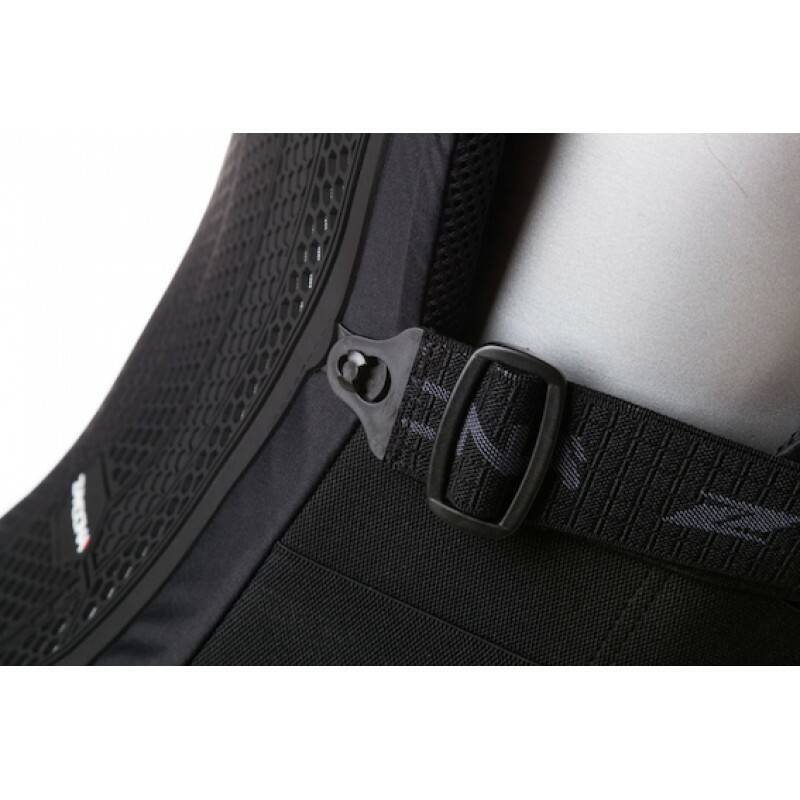 The waist closing have a double elastic regulation system, excellent against back-aches and comfortable. 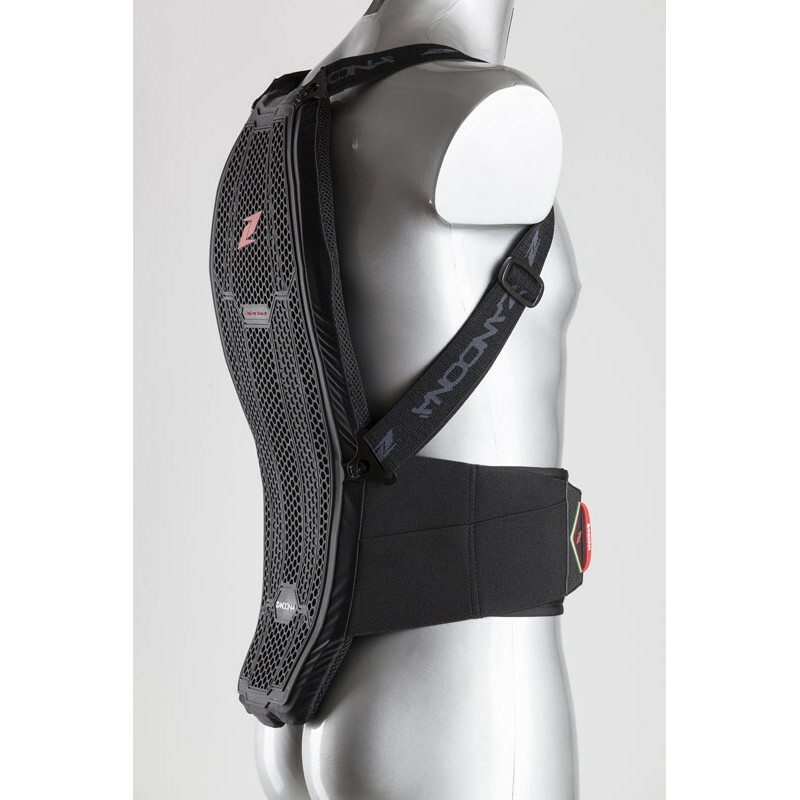 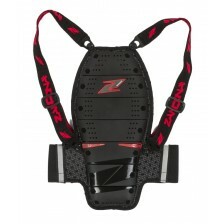 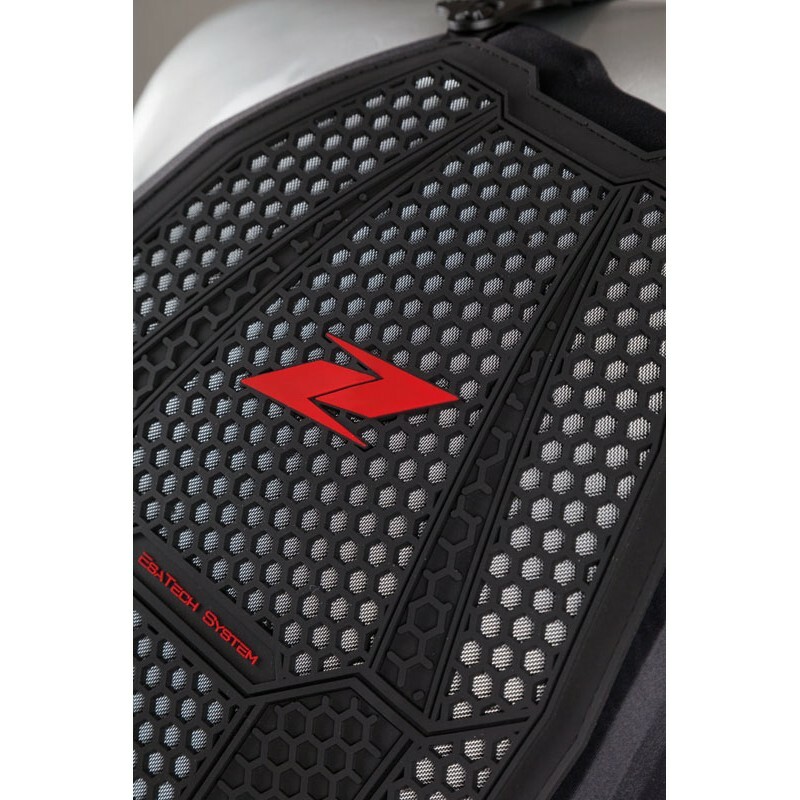 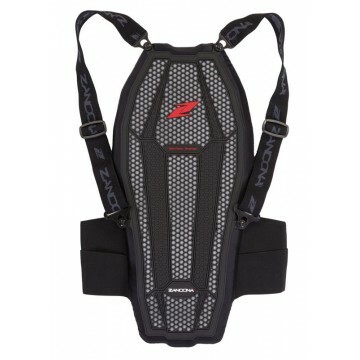 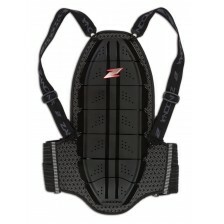 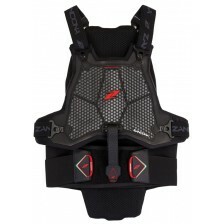 The back protector is comfortable because it follows and satisfies the natural forward movement of the spinal column and reaches Lev.2 performance (4,6 kN average result) according to the EN1621-2/03 normative while offering the best comfort.